Vogue records was set up as a Jazz music outlet in France around 1948. Three years later in 1951 with two different series, one Jazz, it began in the UK. In 1956 they issued the classic Let The Good Times Roll by Shirley and Lee (the sweethearts of soul) as the first 45 in the UK. Shirley Goodman and Leonard Lee were only 14 and 15 years of age when they first recorded . Most of the early singles were taken from the US Aladdin record label. Let The Good Times Roll became a million-seller for Aladdin. Eddie and Leo Mesner founded the label in Hollywood in 1945. As an independent it was successful in the US R & B market, and had hits with such artists as Amos Milburn, Charles Brown and Ligtnin' Hopkins. With competition from the big major labels it ceased to exist by 1959. Amos Milburn with One Scotch, One Burbon, One Beer was the last Aladdin release. Vogue did not release any records from September 1959 until February 1960. Vogue now needed new artists and new US record labels to issue. The lead singer with the Sharps was Thurston Harris, who had a number of singles issued. Little Bitty Pretty One sold over a million in the US but was fairly obscure when issued in the UK. His other recordings on the label now sell for large sums. About this time Vogue began leasing the Houston based Duke/Peacock labels which also included Back Beat, Sure-shot, other label's addition included Everest, Galaxy, GNP, Fat Fish and Vault. This became the main source of interest in this label from the early sixties for the soul collector. The change of name to Vocalion took place in 1963 at issue V 9206 Jimmy Holiday How Can I Forget , from the Everest label. 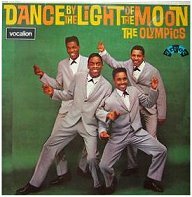 Also under Vogue they issued Arvee which included tracks from the Olympics and their third single I Wish I Could Shimmy Like My Sister Kate reached No 45 in the UK Charts, giving Vogue its first hit record. Wally Cox who was later to become a Northern Soul legend with I Can't Help It from the Arvee label. Vocalion also issued Pop from both the US and UK scene. These releases are very rare and include Dave Jones and the King Bees, a copy sold at auction for £600, the singer later changed his name to David Bowie. The Golliwogs had two releases they later became Creedence Clearwater Revival. The Duke releases included some of the best soulful tracks by Bobby Bland who was their most successful artiste. Other artists from the same label were Johnny Ace, Little Junior Parker, Roscoe Gordon, Otis Rush and James Booker. Back Beat a subsidiary of Duke was to give Vocalion its second hit with Roy Head and Treat Her Right. He sounded like a black singer on record but was in fact a white Texas R & B singer known as Roy Head and the Traits. It reached No 2 on the Radio London chart in October 1965. Every single released from this period has since become a soul gem and collectors item. Bud Harper for his Peacock recording of Mr Soul. Al 'TNT' Braggs for the danceable Earthquake. Leon Haywood from Fat Fish with Ain't No Use and Ever Since You Were Sweet Sixteen. The Galaxy pounder from Roger Collins of She's Looking Good to the final release of Going To A Happening from Tommy Neal. With only two records making it into the charts the label folded in 1968 without having much commercial success. Today, of course, this label's records change hands for three figure sums, in particular the distinctive red demo 45's in the V red and white company sleeve.